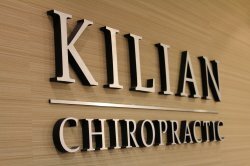 Kilian Chiropractic welcomes you to our new patient center. Our goal is to make this an easy transition to our chiropractic care program. 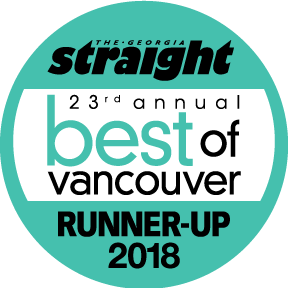 Your health and wellness are our priority and if you are new to chiropractic care or new to the Vancouver area, we invite you to enjoy the virtual tour of our facility. Hopefully, the pictures will answer a few questions about our practice and what to expect. Dr. Trevor Kilian and Lauren Kilian provide a family atmosphere at Kilian Chiropractic. Our husband and wife team encourage you to seek the benefits of natural, chiropractic care for your health. If you are seeking relief from pain, need to recover from an auto accident injury, are rehabilitating from a sports injury or want guidance for managing a chronic condition such as fibromyalgia or arthritis, our staff is happy to show you the benefits of chiropractic care. Our downtown Vancouver chiropractic center invites new patients to our facility. Our health team at Kilian Chiropractic reminds new patients to provide a health history form at your first appointment. You can download the form from out web-site to save time at your first appointment. When you fill out the health history at home, you also take your time and are able to include all your symptoms, conditions and goals. We examine your health history to determine any patterns that are related to your spinal position. For example, if you suffer from migraines, headaches or allergies, we look at your history and show you how chiropractic manipulations will ease your symptoms. In addition, we discover your family health history and provide preventive options to reduce your health risks. This form is also our chance to understand your goals through chiropractic care. If you want a drug-free option for pain management, are looking to improve your overall health and fitness or want to lose weight, our chiropractic health plan is personalized to meet your needs and goals. We also invite you to sign up for our newsletter and register at our member wellness section. Our goal is to provide a variety of health support and through newsletters and current health information, we are able to encourage your journey. You can also schedule your appointment online and view our hours for chiropractic adjustments.